Achievement is the most important goal of Kappa Alpha Psi® Fraternity, Inc. A prime example of a high achiever is our very own late revered Brother, Hiliary H. Holloway, Esquire. Having served in numerous capacities within and outside of the Fraternity, Brother Holloway’s legacy personifies ACHIEVEMENT. The Philadelphia Alumni Chapter of Kappa Alpha Psi® Fraternity, Inc. is proud to announce the 2019 – 2020 scholarship application is open to current School District of Philadelphia, Philadelphia Charter School high school and Achievement Academy students planning to enroll at bachelor degree offering institutions in the fall of 2019. The application deadline is May 10, 2019. This scholarship is for African American men who are seniors in high school in the Philadelphia, PA area. The application is open March 15th, 2019 for the 2019-2020 academic year. You can find more information at Scholarship.PhillyKappas.org. 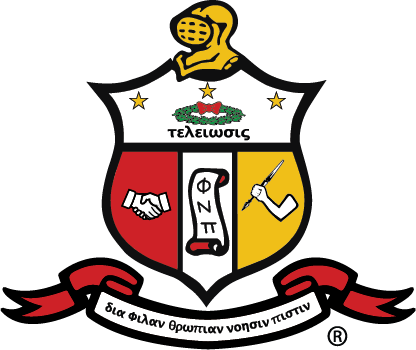 The Philadelphia Alumni Chapter of Kappa Alpha Psi® Fraternity is seeking to enhance higher educational opportunities for qualified graduates. It is our desire that through financial assistance, some young man, who might not otherwise be afforded the opportunity, might gain advanced educational training. Further, it is our hope that with this education, the individual will be able and obliged to contribute to the betterment of the region, the country, and indeed the world. Applicant must have been accepted by a four year accredited college or university. Applicant must have at least a “C” average (2.0 on a 4.0 scale), as well as a demonstrated need for financial assistance. Selected candidate must submit proof of college matriculation in order to receive his first award payment. The student is expected to maintain at least a 2.5 or better grade point average on a 4.0 scale, and maintain standards of good conduct to be eligible for scholarship renewal. Applicants should be students at a Philadelphia Public or Charter School and/or a current Achievement Academy student. The applications will be forwarded to the chairman of the Scholarship Committee, to be received not later than the published deadline date. Scholarship winners and their high schools will be notified by letter. The recipients will be chosen based upon their scholastic achievement, extracurricular activities (in and outside of school), character, personality, leadership qualities, and overall potential for the attainment of a baccalaureate degree. Financial need will be considered and given priority.